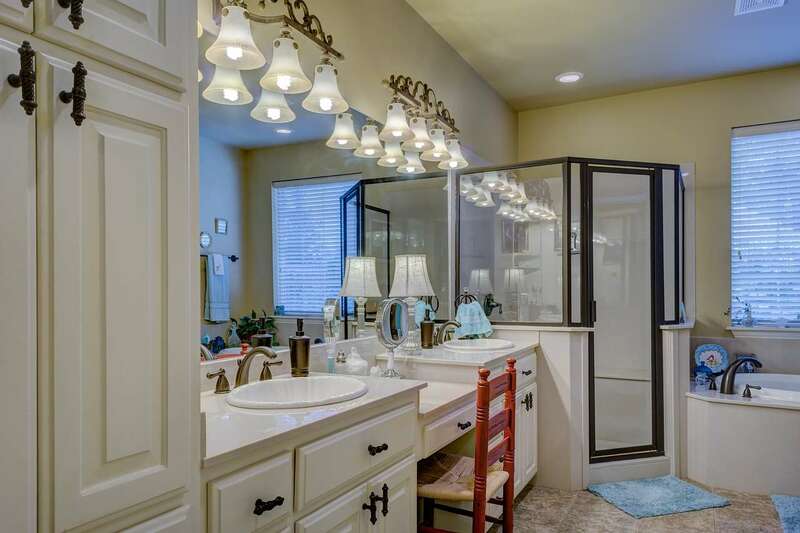 Bathroom cleaning is a task that definitely needs a special attention when cleaning your home. Usually the smallest rooms in the house, bathrooms demand extra care and cleaning effort. You can decide to do it yourself step by step or hire house cleaning professional. Either way, here are the essential tips. All the bathrooms are full of cosmetics, cleaning products, hair accessories, brushes, holders, makeup items. Name it – and you have it. All those bottles, tubes, hairpins, shampoos and the other little buggers need to be removed prior to cleaning. So, make sure you put them away from sinks, bathtubs and floor before you even start cleaning. Clean the highest places first. Start from shower glass or curtain rod and hanging cabinets. Move to mirrors, and then countertops and sinks. Toilet bowl is the item you would want to clean before you start with floors. That ensures that none of the dust, dirt and stains fall or drip down while you are cleaning. First step is always plain flushing, with the lid closed. Dd the cleaning liquid in the freshly flushed toilet, and move to the other parts. Then start with cleaning the exterior part. Make sure you cover all the rims and hidden parts. Clean the board and the lid, too. Then lift it and clean the part below the board. When you are finished with that – clean the interior and flush. Sounds pretty easy but, in fact, it can get messy. Professional maids at Absolute Shine Cleaning Services are trained to use color-coded microfiber cloths for each and every part of the home. So, if you are environmentally conscious as we are, and use reusable cloths for bathroom cleaning, make sure you dedicate one microfiber cloth for sink, the other one for toilet etc. To learn how to do it, click here. Shiny bathroom is a matter of clean house as well as the matter of maintaining a good health of the entire family. It is understandable that you might not have enough time to do it yourself, so hiring a professional maid service for that task remains as an option. Feel free to contact us and book an appointment!